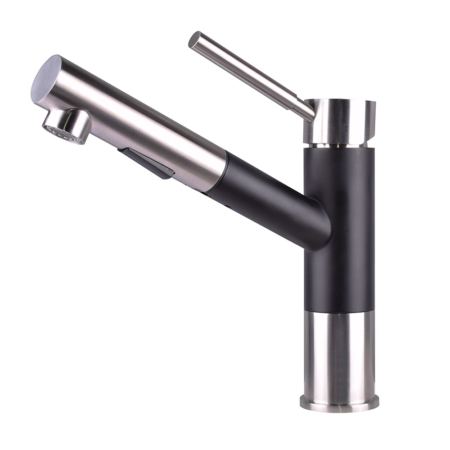 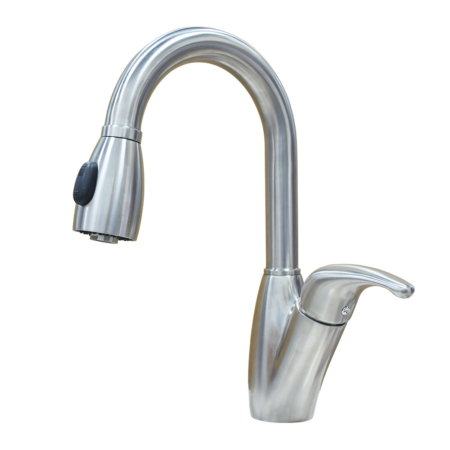 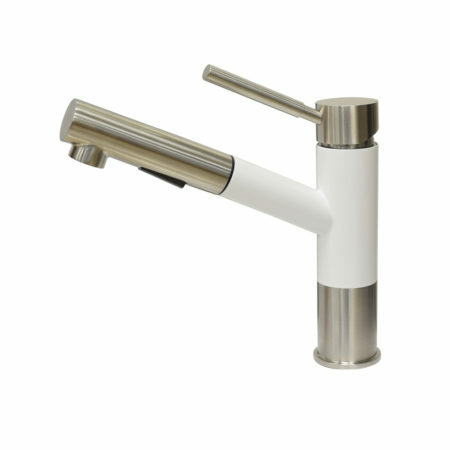 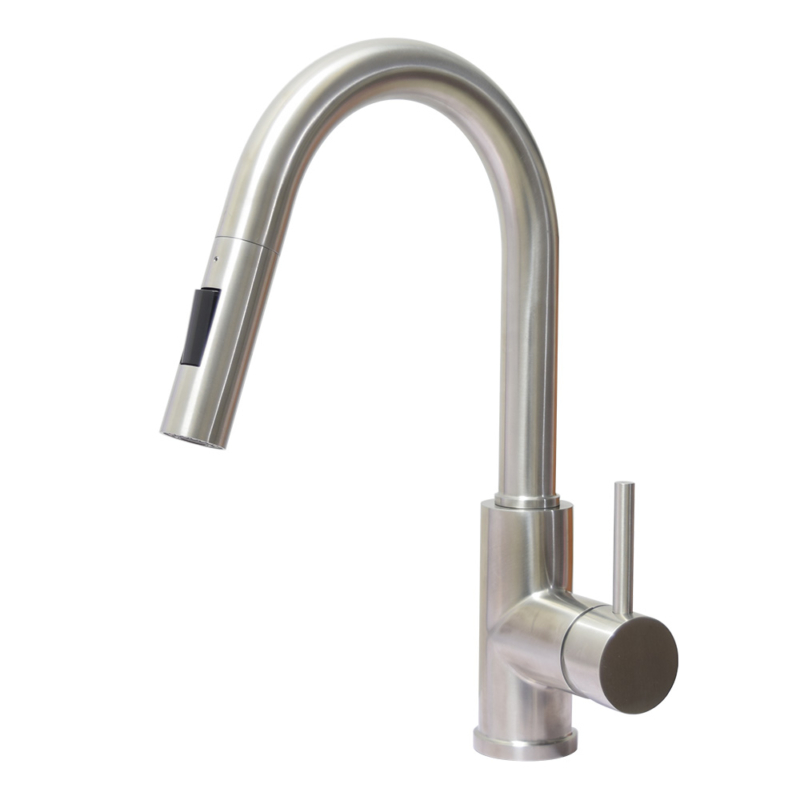 This modern kitchen faucet has a pull down srpayer and is designed with one lever. 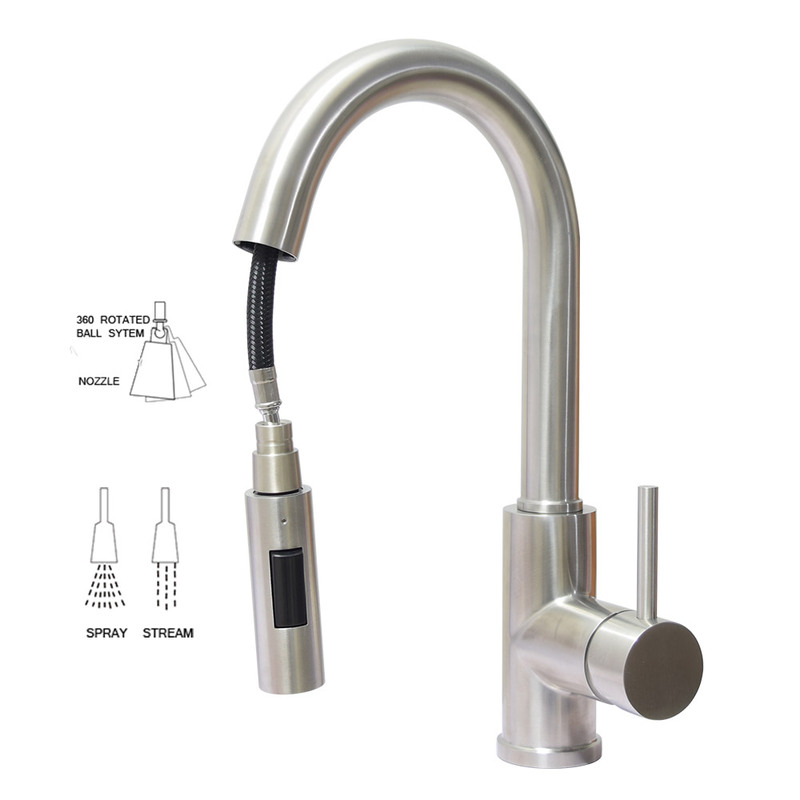 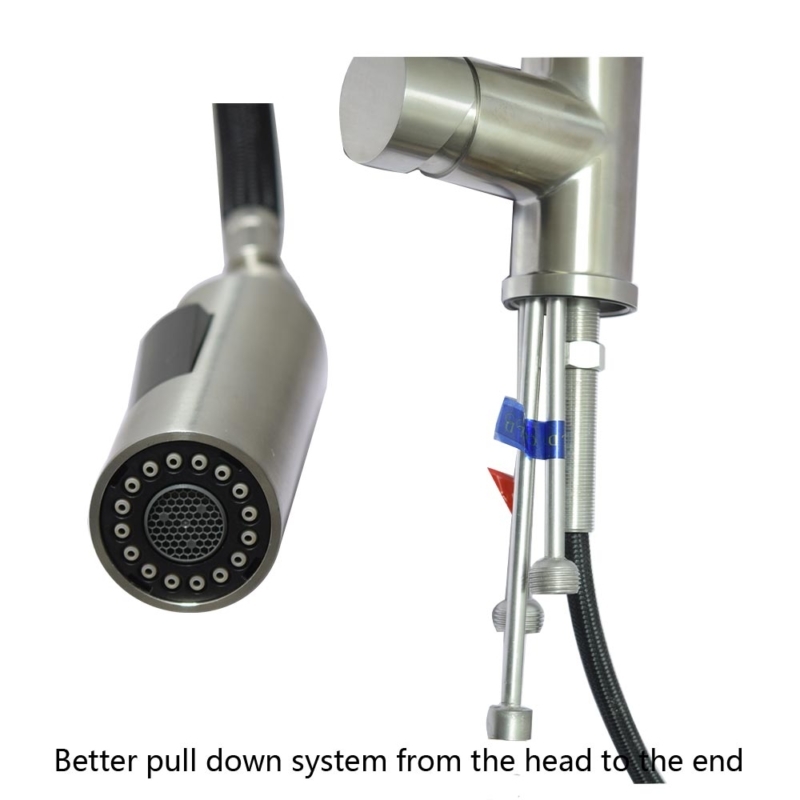 as a good quality pull down tap, it grealty reduce pull down faucet leaking issue to you, as the pull out system gets protection tube at the head and also the foot, which will protect it from friction with nearby hoses, and avoid noses in the movments. 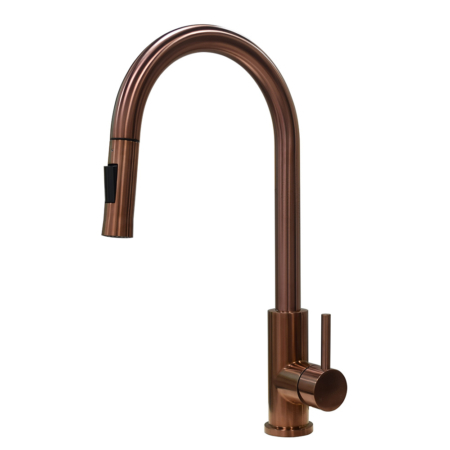 The version here is brushed stainless steel pull down spray kitchen tap, If you want, you can make it black, gun metal , rose gold, and gold as well.